Carol Breining with a local artist, Gina Tackett, who creates rings out of used bullets. It’s not easy being a single mama. “One day, my oldest decided there wasn’t enough food in the fridge, so she said: “Mom, I’ll work in the shop, and you go to the grocery store!”” She notes that this was her daughter’s strategic and creative way of making money while getting her to run errands and spend money! Finally, any advice for aspiring entrepreneurs in the retail space? Mud & Metal: a home for local artists to sell their art in Baltimore! All the updates from Mud & Metal @ Facebook! 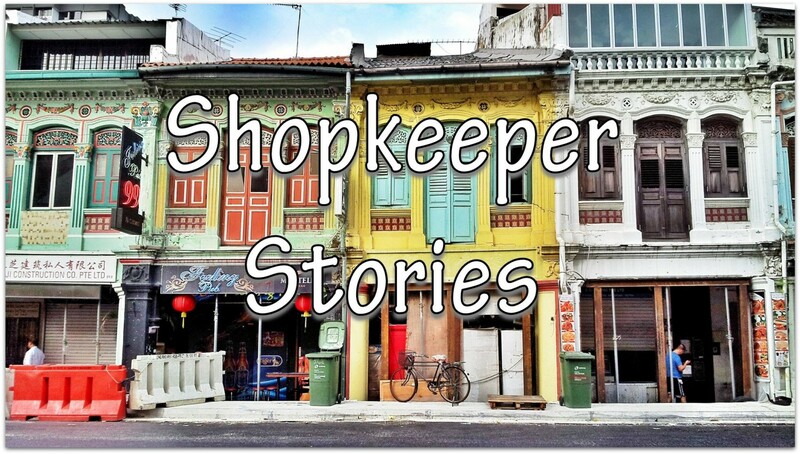 If you liked this story, join Shopkeeper Stories on Facebook or Instagram! This entry was posted in Art & Craft, Baltimore and tagged art, artisan, bullets, business, gifts, Hampden, jewelry, mumpreneur, necklaces, pendants, retail, rings, small business, yoga. Bookmark the permalink.